I’m personally not a racing sailor and don’t have the itch to become one. I’m perfectly happy letting the winds dictate my speed and often my destination. But I do appreciate the intricacies of squeezing out another 0.5 knots with perfect sail trim, weight distribution and helm control. I crewed for a season aboard a 38-footer during the Wednesday evening club races and also during longer races such as the Queen’s Cup, a night-time race across Lake Michigan. My time as a racing crew member taught me a lot about seamanship and sailing. Sailing around the world is a remarkable endeavor, whether at a leisurely pace aboard a small private cruising sailboat or as crew on one of the fastest, most hi-tech racing sailboats on the planet. What started out in 1973 as the Whitbread Round the World Race has, in today’s sponsorship laden world, become the Volvo Ocean Race (VOR). The nine month race, which starts in Alicante, Spain and concludes in Galway, Ireland has teams sailing over 39,000 nautical miles of the world’s most treacherous seas via Cape Town and around Cape Horn. Each raceboat has a crew of 11 and requires racing for 20 days at a time on some legs of the race. 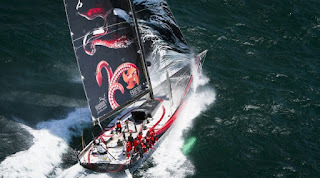 The current VOR began in October and is scheduled to finish in July 2012. The boats are currently racing on the first leg from Alicante to Cape Town. You can follow their progress and see live video feeds here. While I personally consider the Velux 5 Oceans Race (single-handed around the world) even more challenging than the VOR because each contestant is alone on their boat for the entire race, the Vendee Globe is truly the Everest of sailing. 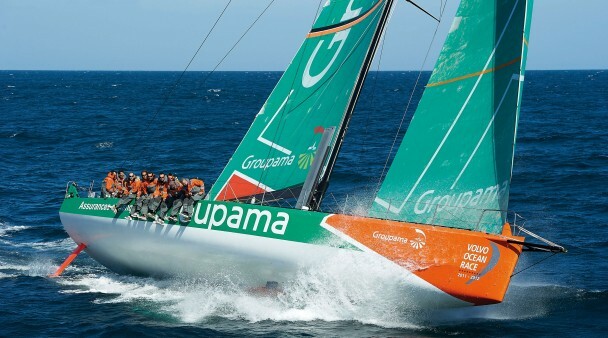 The Vendee Globe is a solo NON-STOP sailing race around the world. You read that right, SOLO NON-STOP! Not only do these brave (crazy!?) sailors race all alone around the world without stopping, they do so in the Southern Ocean, where some of the planet’s worst weather is found. The next Vendee Globe starts in October of 2012, so for now I’ll have to be content passing the offseason by following the progress of the VOR.